After Los Angeles, San Jose is the second largest city in California, but for years it didn't have a vibrant city center to match. Over the last decade, with major efforts by the city to attract investment and build a walkable downtown, Downtown San Jose has grown into a lively urban community with lots of things to see and do. Looking for things to do in Downtown San Jose? Here are some top picks for the best things to do in Downtown San Jose. All of these things can be reached on foot from any downtown parking lot or transit center. There's a lot of history in San Jose: San Jose was the first city in California not associated with a church or military site and it was California's first state capitol. Some historical highlights downtown include: Plaza de Cesar Chavez, the original plaza of the 18th century Pueblo de San Jose; Peralta Adobe (last remaining Spanish structure from the Pueblo de San Jose); The Circle of Palms (site of the first state capitol), and the building where IBM researchers built the first computer hard drive. St. Joseph’s was the first church of the Pueblo de San Jose and the oldest non-mission church in California. The original adobe structure was built in 1803. When this church burned down in 1875, the present domed cathedral was constructed, and later work added ornate ceiling paintings, wall decorations, and stained glass. The church is still active and holds mass seven days a week. San Jose's modern City Hall is one of the city's most iconic structures. The building designed by acclaimed architect Richard Meier, opened in 2005 and includes an 18 story tower, a rotunda, and council chambers. The light and shadows the structures cast are brilliant, daytime and night. The Tech Museum of Innovation (or "The Tech") offers hands-on and family-friendly exhibits on the role of technology and innovation in our lives. Favorite exhibits include the (terrifying) earthquake simulator and a space simulator that lets you see what it's like to wear a NASA jetpack. Art lovers should check out the modern and contemporary art exhibits at the San Jose Museum of Art and the hip art galleries in the South First (SoFa neighborhood). MACLA (Movimiento de Arte y Cultura Latino Americana), Anno Domini, and the (surprisingly modern) San Jose Musem of Quilts and Textiles are also great spots to check out. Downtown San Jose has several wonderful music and theater venues, including the beautifully restored 1927 California Theatre, home of Opera San Jose and Symphony Silicon Valley. San Jose State University was founded in 1857 and it's the oldest public university in California. A walk through their compact urban campus is interesting. Look for the 1910 Spanish Revival style Tower Hall (the oldest building on campus) as well as the Olympic Black Power statue (a tribute to two former SJSU track stars who, when they won medals at the 1968 Olympics in Mexico City used their global podium to raise their fist in silent protest of human rights violations and racial injustice). Right next to the main campus quad is the Dr. Martin Luther King, Jr. Library, an interesting collaboration between San Jose State University and the City of San Jose. It's the only joint-use library in the United States shared by a major university as its only library and a major City as its main library. On Thursdays at 11:30 am, the MLK library offers free one-hour docent-led general tours of King Library's art and research collections. Sign up for a tour at the lobby Information Desk. San Pedro Square Market is a popular public food market with dozens of different food stalls, bars, and cafes. It's a great place to take visitors and family because everyone in the group can get something they want. 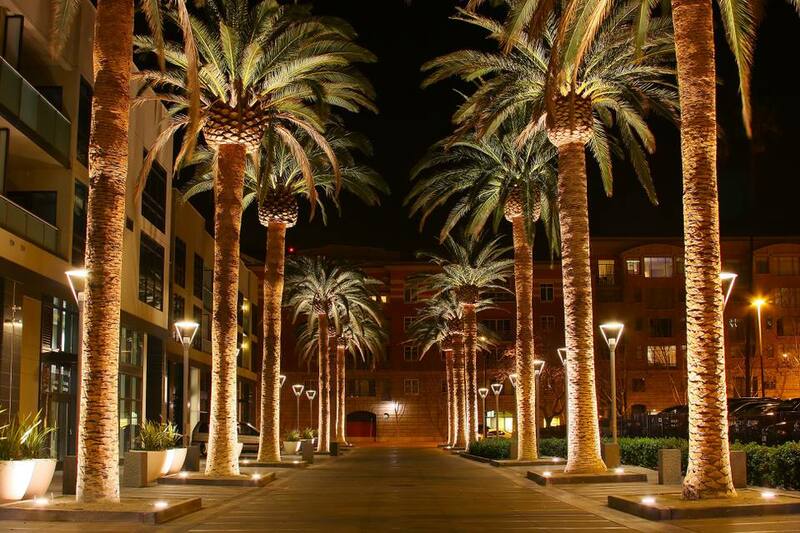 Beyond San Pedro Square Market, Downtown San Jose has lots of excellent places to eat, drink, and meet. Many of the city's restaurants are clustered from Market Street to 3rd St, and from Santa Clara down to William Street. Some favorite Downtown restaurants and pubs are Nemea Greek Taverna, Mezcal, Picasso's, Original Gravity Public House, and Good Karma Cafe. The Guadalupe River Park is a three-mile stretch of urban parkland that runs along the banks of the Guadalupe River in Downtown San Jose. Walk the trail from San Jose's historic Little Italy district, along the river to the rolling hills of the Guadalupe River Park (just north of Coleman). Look for the Heritage Rose gardens, a collection of 3,600 antique and modern roses, and the brand new (in 2015) Rotary Playgarden, a unique and accessible public park built to enable children with special needs to play alongside their siblings and friends.